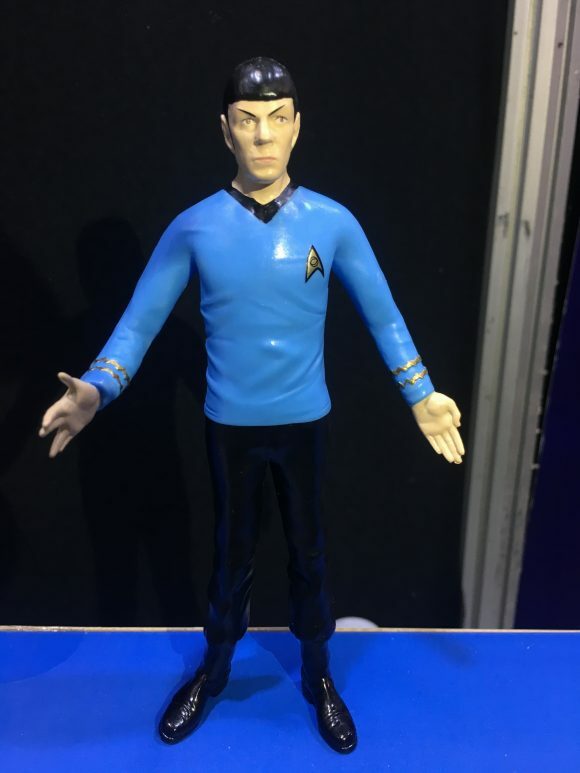 For the TOY FAIR 2018 INDEX of stories, click here. 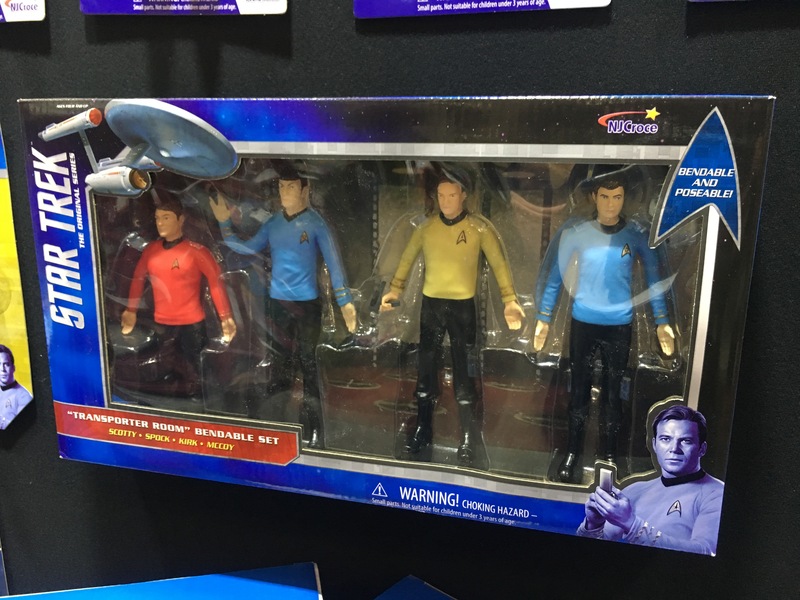 This year at Toy Fair, Star Trek is center stage at the NJ Croce booth — with Kirk and Spock singles and a Transporter Room boxed set featuring Kirk, Spock, McCoy and Scotty. I’m always taken by how well NJ Croce captures actors’ likenesses given the inherent material disadvantage bendables have when compared to, say, McFarlane Toys action figures. They skillfully turn that minimalism into a strength: These guys look like Kirk and Spock — who is especially strong here — but also give off that lovable old-school vibe. 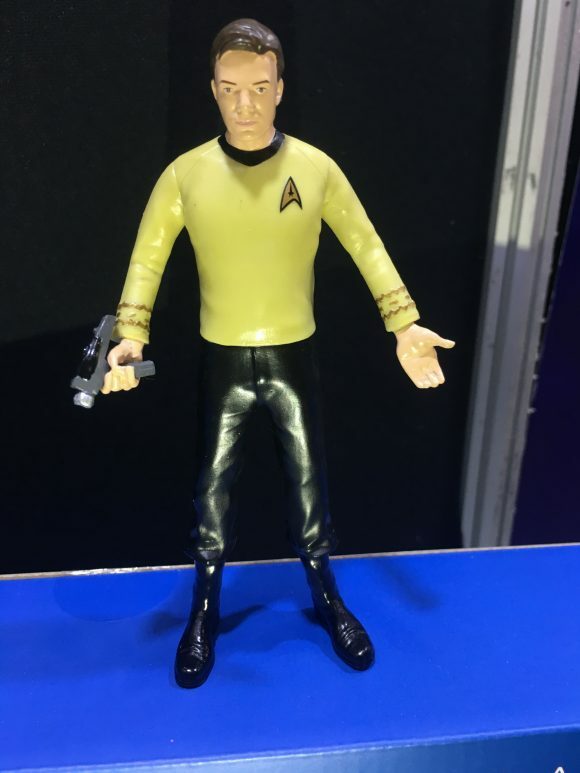 Kirk comes with a phaser! 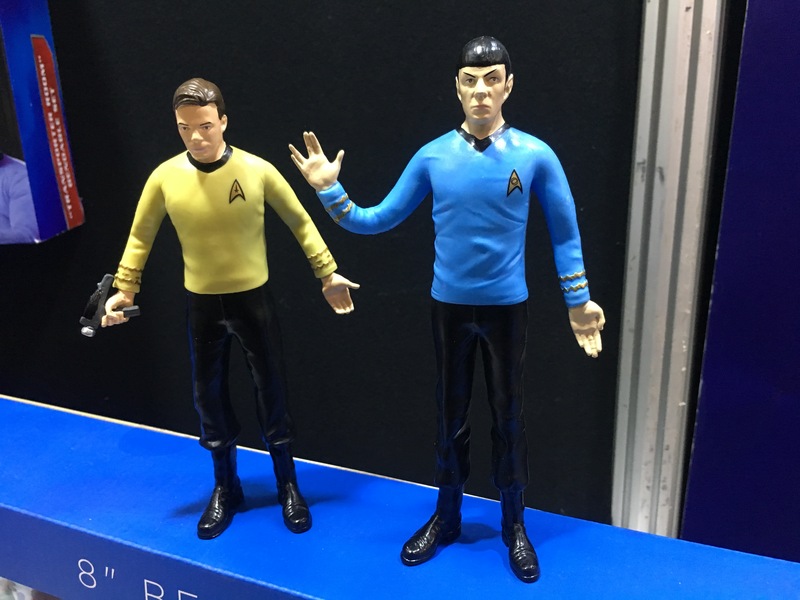 Spock’s right hand is molded into the Vulcan salute. And you can’t beat the price: The singles list for $8.99 each and the boxed set lists for $32.99. These will start arriving in early March. This is just the beginning, too. More characters are coming — along with a follow-up boxed set: The Bridge.